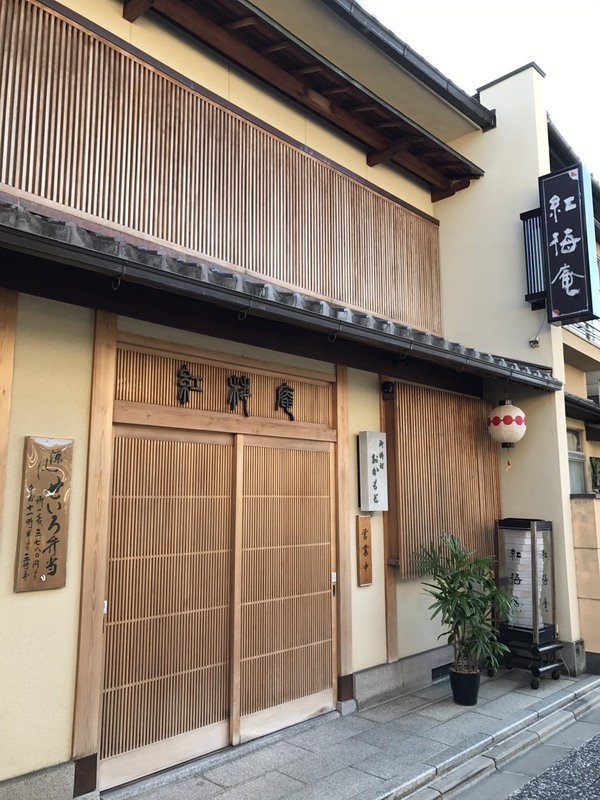 This restaurant was open 75 years ago in Kamishichiken, east of the Kitano Tenmangu Shrine. Enjoy meals at your leisure in a rebuilt townhouse seated in chairs. Courses, bento lunch boxes, sushi and other offerings are available.